It’s Sunday… anyone scrapping today? 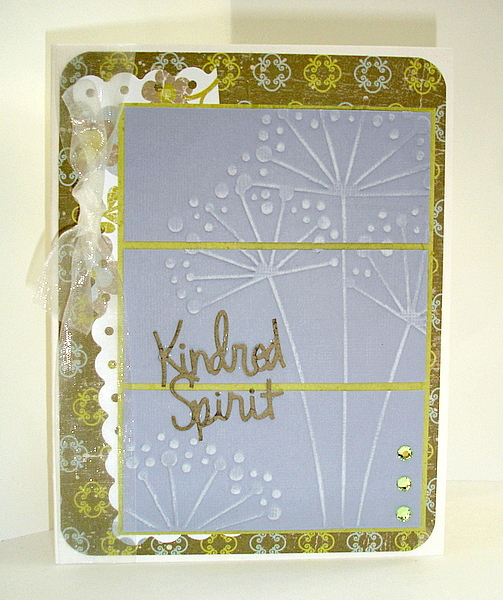 I have a quickie card to share… it’s for my weekly card challenge at Scrap Shotz. Each week members are challenged to make cards using supplies that start with a given letter… this week’s letter was “C”. I’m down to a few scraps of the beautiful Crate Sweet Branch line so I tried to use it up. If you’re interested in participating, you can find my weekly card challenges here. And as such, I’m finding it difficult to get to my scrap space… here’s a card I did in 5 minute bits and pieces… it’s this weeks CPS sketch (#77). 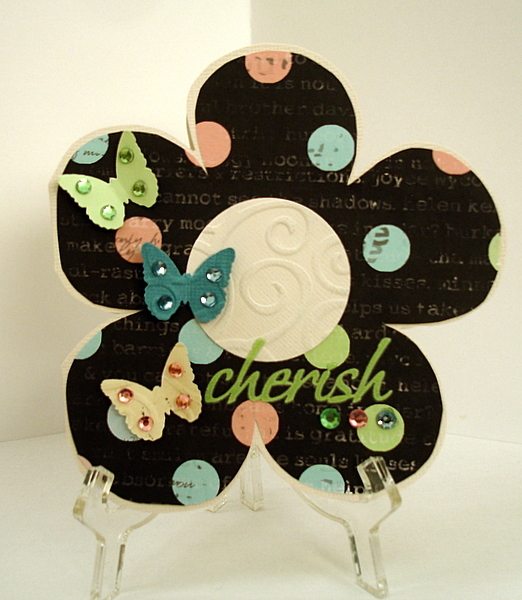 I got to play with one of my new Cuttlebug templates, yay me! 🙂 Can I just say I love using my Cuttlebug with the Core’dinations CS… such a beautiful effect! The mid-month challenges go up on Scrap Shotz today. 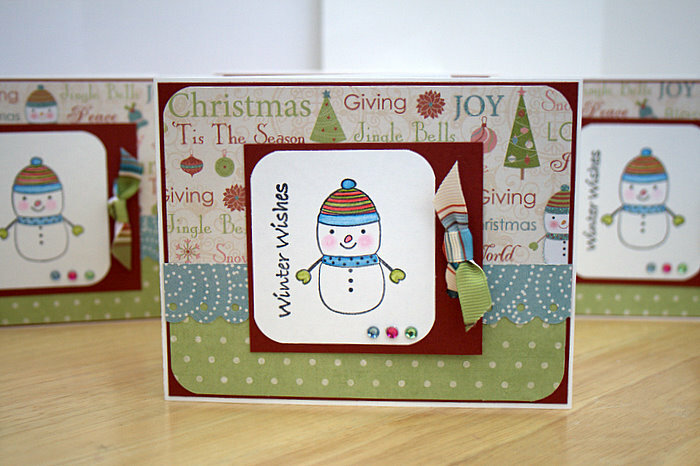 I thought I would share my card challenge with you here, but absolutely check out the site for my layout challenge, as well as challenges by some members of our super-talented design team! Back in the swing again, and I can share my 2 Sketches 4 You card for this week… it’s for Laura’s Sketch 6. That’s all for now, more on the way. Well, it really never a bad time to make Christmas Cards, is it? We’ve been running an all-year Christmas Card Club at Scrap Shotz, and after this month participants should have 80% of their cards made for this year… pretty sweet, huh? I’d like to share the August challenge, as I’m giving away a SWEET new Imaginisce Snowy Jo stamp in a draw from those who participate! All you have to do is go to this thread to check it out! Here are my cards for this month (I keep them simple as it’s an assembly line thing), I am in love with with this product line from Imaginisce!